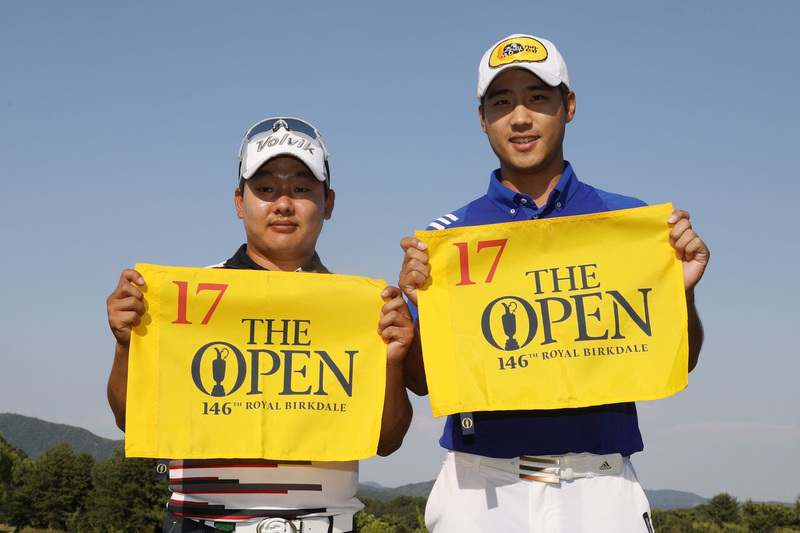 The 60th Korea Open finale was full of twists and turns throughout the day, and it took a three hole playoff to finally reach an outcome, late on Sunday afternoon. Yikeun Chang eventually prevailed over Giwhan Kim to claim his first professional title in dramatic fashion, but it was during regular play that most of the drama unfolded. There was never a moment throughout the final day that one player looked like pulling away from the field and clinching the much sought after national title. Although the front 9 was far from uneventful, it was the final few holes where all the primary action unfolded. 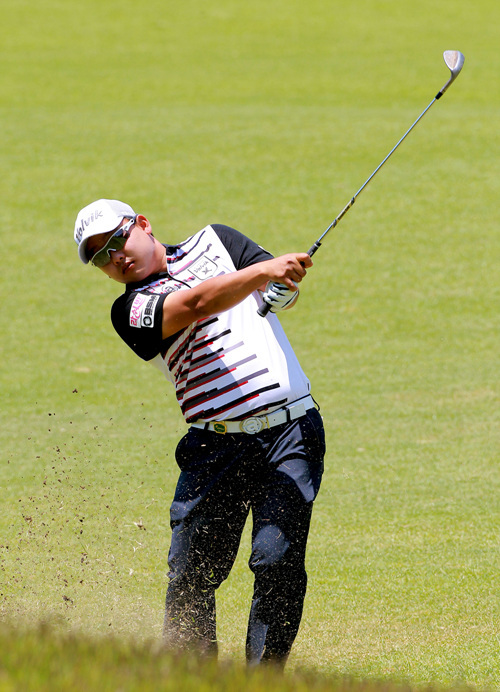 First up, and literally out of nowhere Jinho Choi went on an incredible run of five birdies in eight holes, to move to within one of the lead, on a course notorious for its tough back nine. The KPGA number one and recent SK Telecom Open champion missed a short par putt on the 16th to end his streak, but was still very much in contention. 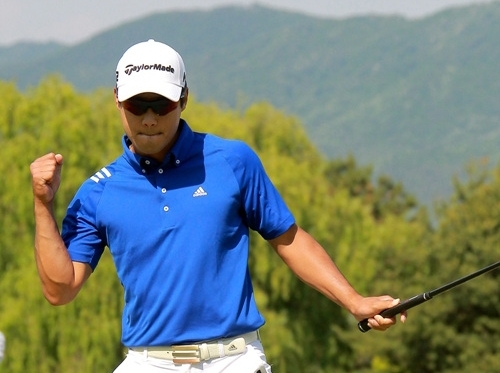 Choi produced an impressive up and down on the 17th to save par and again on the 18th, but this time it was for birdie. 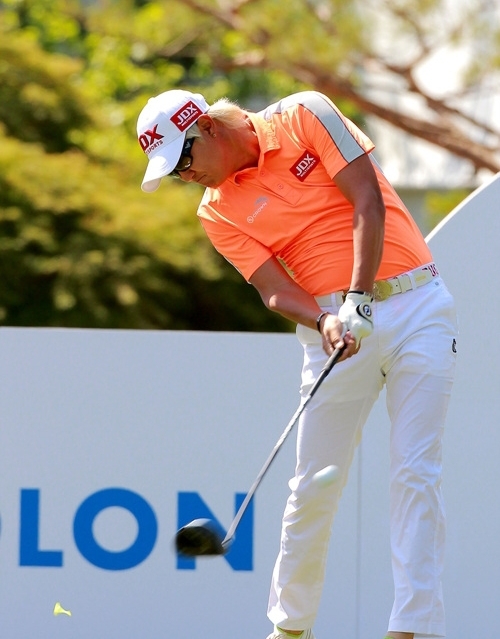 He sat in the clubhouse on -6, one off the lead, but with a strong possibility of a play-off. So strong that his family showed up in hope of another victory! 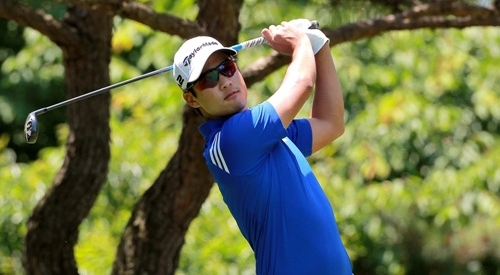 Four birdies in six holes handed Inho Hur the outright lead after he completed the 14th hole. 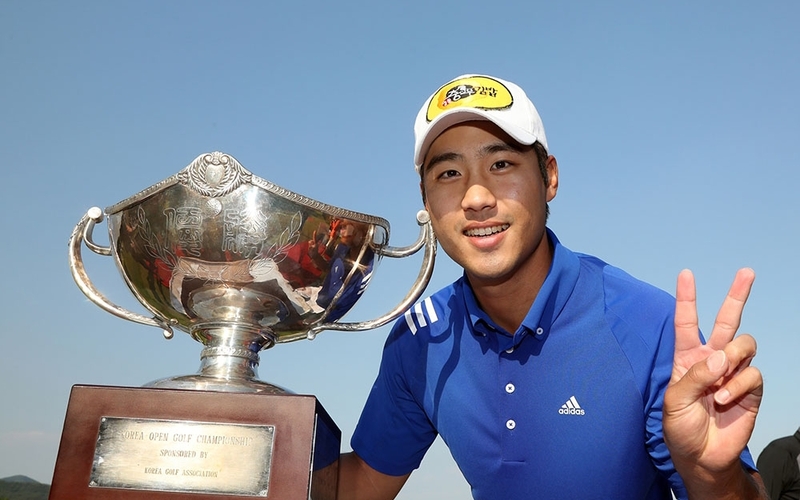 However, Hur who is known for being a very aggressive and sometimes erratic golfer dropped shots on the next two holes, to bring the chasing pack right back into contention. Again he lived up to his reputation by bouncing back with another birdie on the 17th and he would play the par 5 final hole with a one shot lead. Having found the greenside bunker in two, Hur looked to be in good shape to finish on at least -7; his score at that time. Unfortunately, a three putt bogey from 20 feet dropped him back to -6 and he had to wait in the clubhouse with Choi, hoping to return for a play-off. 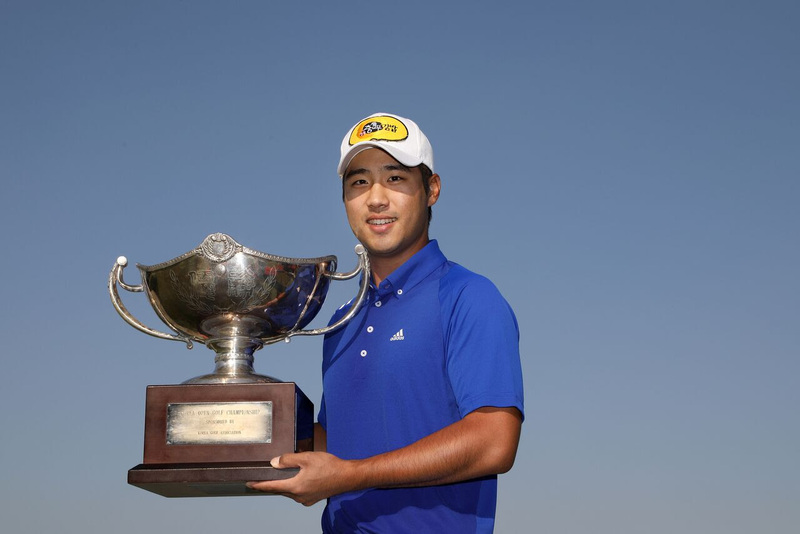 Overnight leader Giwhan Kim, like Chang was chasing his first professional title. He stood on the 17th tee on -5, knowing that he needed a birdie in the final two holes to join the potential play-off. But Kim’s plans quickly changed as an unexpected chip in birdie meant that he was now tied for the lead with the par 5 18th awaiting. Chang kept the galleries entertained, as he didn’t have on par from the 12th for the rest of the round. He went bogey, birdie, double bogey, bogey, birdie…Having just birdied the difficult par 3 16th, he was in the same position as Kim on the 17th, and like just Kim, Chang produced a birdie from long range to set up a grandstand finish. Both players produced the goods again and birdied the last, so a head to head three hole play-off was going to decide the champion. 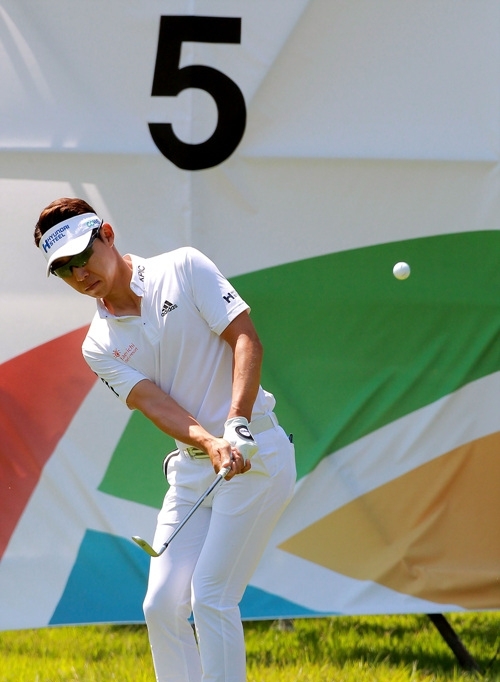 With both players finishing on seven under, this ended the hopes of Choi and Hur. The duo had secured their spots at this year’s Open Championship, but there was a much bigger prize awaiting the playoff winner. On top of the lucrative trophy, a $270,000 winners cheque was on offer, as opposed to a $100,000 for the runner up. The 16th was halved with par threes, but Chang grabbed a two shot cushion going up the last after another unexpected chip in birdie on the 17th; this time in his favour. Kim’s par putt agonisingly lipped out to hand his opponent a more comfortable lead with one to play. Once Chang split the fairway and when Kim drove way left towards the 17th, the title was all but sealed. Kim hit the water with his second and that was effectively that. The drama had finally come to a conclusion with Chang taking the honors in spite of a three putt bogey finish. This was arguably the most dramatic Korea Open climax in its 60 years of existence, with Chang being a very deserved champion. 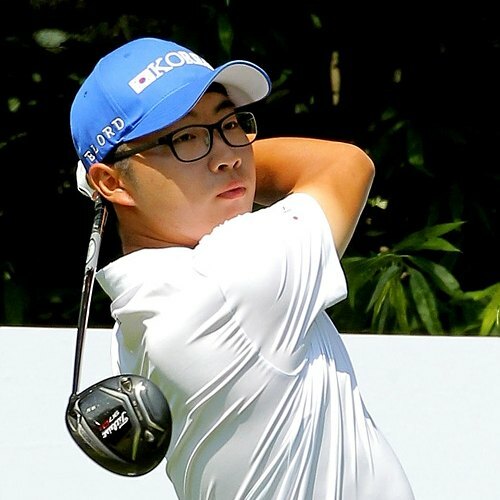 Special mention also to young amateur Dongmin Kim, who was in the running right up until the 18th hole, but unfortunately a triple bogey finish ended his dream of an astonishing upset. He still came away with the amateur title and a T-6th finish. Another one to watch out for in the future.